Ok right up, those of you who think using a microwave is not Primal enough can still make this easy peasy Hollandaise Sauce the long way. Unfortunately, it won’t be easy peasy. Look for a recipe that calls for double boilers, reducing liquids and other words like that and give yourself a good 30 minutes from pot to food. So while you are waiting for your eggs to poach and your bacon to fry and you are thinking something buttery and creamy would just add to your morning, then this is the sauce to make right now! In the microwave melt the butter, covered, in a bowl for 30 seconds. Stir in lemon juice, then egg yolks and cream. Return to the microwave and cook for 30 seconds, stir and cook for a further 30 sec. Pour over eggs or anything else. 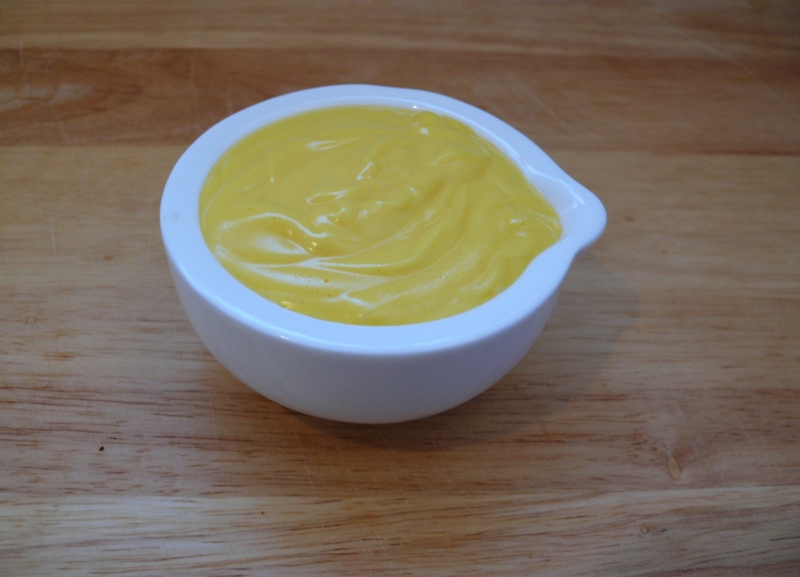 Ok – buttery sauces like this can easily separate (or split), if they get too hot. If this happens to yours then place the bowl in a sink with cold water and beat the mixture until it combines. Or throw an icecube in the sauce and beat. Essentially you want to cool the sauce quickly and beat at the same time – this should bring it all together.